President Hinckley made his own time available for interviews and feedback and allowed Sheri to interview his family, personal friends, and colleagues, including both of his counselors in the First Presidency and each member of the Quorum of the Twelve Apostles. He also made available personal writings, including talks, records, and journals, as well as personal and family photographs. Sheri Dew has traveled extensively in the process of preparing this biography, including making a trip to the British Isles and Asia for the dedication of the Hong Kong Temple. "Temple work is a passion with him," she says. "He has been involved with the dedication or rededication of forty-three of the forty-eight existing temples. To dedicate a temple in Hong Kong was a dream come true for him, as he has worked for over thirty years with the Saints there." Elder Neal A. Maxwell has stated that "President Hinckley is helping to lead the Church out of obscurity. . . . He has marvelous gifts of expression that enable him to present our message in a way that appeals to people everywhere." President Hinckley's influence on Church growth has become increasingly apparent in recent years. When Elder Gordon B. Hinckley first visited Asia in 1960, the Church had only two missions serving that vast continent. Tiny branches of Saints, a dozen here, twenty there, met in members' living rooms and rented halls. There were no stakes. 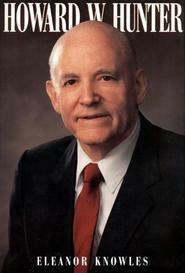 But his optimistic nature filled him with a vision of the potential for spreading the gospel in this area of the world. Indeed, in the Philippines, where there was only one native member of the Church at the time, he expressed to a group of Latter-day Saint servicemen his view that "missionary work will be done in the Philippines in the future and that it will be as fruitful as it has been in many other places in the world." Thirty-six years later, President Hinckley made his first trip to Asia as President of The Church of Jesus Christ of Latter-day Saints. The picture had changed dramatically, as evidenced by what awaited him in the Philippines: "By midafternoon on May 29, 1996, the Araneta Coliseum, where an evening fireside was to be held, was filled beyond capacity. Lines had begun to form at 7:00 A.M. for a meeting that wasn't scheduled to begin for twelve hours. The official count later indicated that at least 35,000 members had crowded into the coliseum's 25,000 seats. Many Saints had traveled twenty hours by boat and bus to reach Manila. . . .
"When word reached President Hinckley that the coliseum was full and that the building manager wondered if there was any way they could begin the meeting early, he immediately said 'Let's go.' As he and Sister Hinckley entered the vast arena to find it packed with what was believed to be the largest audience in an indoor facility ever to hear a President of the Church in person, the congregation spontaneously rose to their feet, applauded, and then began singing an emotional rendition of 'We Thank Thee, O God, for a Prophet.'" Please note that the audiobook is abridged. While the book is amazing (deserves 5 stars), I write this review to guide those considering purchasing the MP3. It is NOT the complete book. It is abridgment--an EXTREME abridgment. It is unfortunate. I love this biography and read it over and over again. The subject matter is inspirational, touching, and often humorous. I enjoy the writing style of Sheri Dew. She reflects the spirit of who President Hinckley is and the importance of his contributions without over aggrandizing. This book reads like a series of facts about the prophet. I love biographies but this one was boring as it lacked emotion and deep spiritual connectiveness. I loved the way that this particular prophet wrote and I am sure if he had written his own biography, it would have been more lively. This is a very well written biography on President Hinckley. It is informative and interesting at the same time- not always an easy task for biographies. Great work; could use an update. 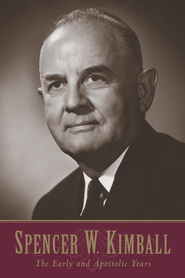 A tremendous volume on one of the great men and leaders of the twentieth century, I recommend this work even in the CD format that is still available, particularly useful for those who do not have the time to read the full-text book. 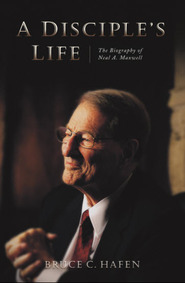 Also, as this biography was originally published in the mid-1990's, a print update in English covering the subsequent ministry and leadership of President Hinckley would indeed be welcome. A tremendous volume on one of the great men and leaders of the twentieth century, I recommend this work even in the CD format which it is still available in, particularly useful for those who do not have the time to read the full-text book. 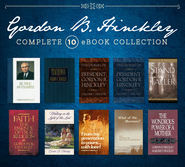 Also, I might add that a print update in English covering President Hinckley's subsequent ministry and leadership after the mid-1990's publishing of this biography would certainly be welcome.